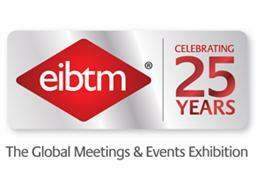 EIBTM is planning an education-led event to take place ahead of the official show start on 27 November. The EIBTM Forum will take place on Monday 26 November and aims to provide inspirational content ahead of the three-day Barcelona show on 27-29 November. The new forum launch is part of a drive by EIBTM to give added value to hosted buyers, who are now also able to fly from regional airports in Bristol, Liverpool, Glasgow and Dublin, as well as London Gatwick, Heathrow, Luton, and Stansted. The show will also deliver dedicated strands of education tailored for corporate, association and agency buyers, rolled out over 60 sessions with content chosen by the industry. Content includes elements specifically for the business travel sector and the return of the Great Association Debate. EIBTM exhibition director Graeme Barnett said: "We remain dedicated to providing a five star personal service for hosted buyers which includes a personalised diary of pre-scheduled appointments with international exhibitors of their choice and a tailored professional education programme suited to individuals needs. "Hosted buyers will benefit from complimentary return flights from an extensive choice of airports to Barcelona and this year we have increased the number of flight options from German, UK and US airports."